Personal injury lawyers do a lot behind the scenes that will help you receive compensation if you ever get injured. Are personal injury lawyers worth it? You don’t need to contact a personal injury lawyer for all injuries. However, there are some circumstances when a personal injury lawyer will help protect your rights or make sure you are compensated for any suffering or injuries you might experience due to the fault of another person. Here are some factors to consider when deciding whether to speak to a personal injury lawyer. If your injury required medical care, or you anticipating having long term, or permanent, pain, or disability, a personal injury lawyer should review your case. An experienced PI attorney will be able to assess the circumstances and provide you with insight, as well as represent you in seeking compensation, and making sure your medical bills are processed correctly. Was your injury the fault of someone else? If an accident, injury, or even someone’s death, was caused by someone else’s negligence, it is imperative to contact a personal injury lawyer for a consultation. Evidence needs to be gathered and preserved correctly to maximize any potential claim and prove fault. Are you being contacted by an insurance company representative? Insurance companies are often looking to reduce their losses by minimizing how much they pay out on a claim, delaying a claim, offering less than you may be able to recover, or even avoiding paying your claim altogether. Insurance claims adjusters are seeking to obtain recorded statements, medical records, your story or version of the event, releases, and other information, to minimize your claim. While some information must be provided depending on the claim, it could ultimately be harmful to your claim to supply information that you didn’t have to, and you may not appreciate the difference. 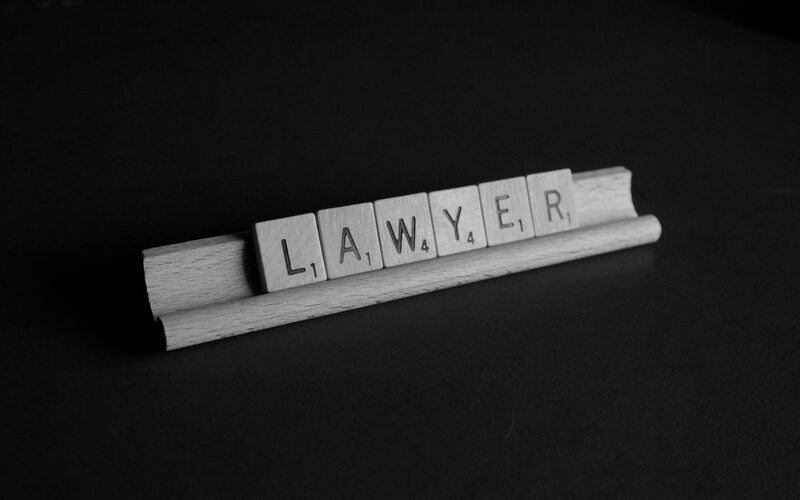 When to contact a personal injury lawyer? If your injury was due to another person’s negligence, it’s imperative to speak with a local personal injury attorney to discuss your options. In addition, the attorney will also be able to handle any communications, or dealings, with any insurance companies involved, since most insurance companies will reach out to you almost immediately, hoping that they can protect their bottom line and avoid any payouts. Contacting a personal injury attorney right away will ensure that an attorney will be able to deal with the insurance company for you, so you don’t have to worry about saying the wrong thing, or agreeing to a settlement that is not satisfactory. Also, you should reach out to a personal injury attorney right away, because there are time limitations that apply to personal injury claims. While the statute of limitations in New Jersey generally gives you two years to file a claim, this time may not begin to run when you think it does. There are also some caveats, and some circumstances, that make that timeframe shorter or even require specific steps be taken in as short a period as ninety (90) days from the date of an accident, injury, or incident. A personal injury attorney can evaluate the timeframes that apply to your case to make sure your rights are protected. A personal injury attorney understands the legalities and the claim and litigation process that you must navigate through after a personal injury and will know how to handle that process so you can maximize your chances of a satisfactory outcome. An experienced New Jersey personal injury lawyer, understands the case law and statutes and can help you present your case in a way that will help ensure a positive outcome. Some of the most complicated parts of a car accident case are proving the other driver’s fault in the accident, and in proving your injuries, and that your injuries were caused by the accident, which is all crucial parts of an accident claim, and can be very difficult to do without the help of an attorney. An experienced lawyer will be able to go through the evidence and determine precisely what occurred, who was at fault, and can figure out the best way to respond to common defense claims, the injuries that occurred, and the best way to respond to common defense claims, like the argument that injuries were pre-existing, not permanent, or were caused by something else. What determines the value of your injury? A personal injury lawyer will help identify the components of your claim, such as economic and noneconomic losses, pain and suffering, loss of consortium, medical expenses, and property damage. Determining the real value requires evaluating the strong, and weak, parts of your case, the measures of damages that might apply, and the extent of your injuries. The insurance company generally offers the lowest settlement possible, and an experienced personal injury attorney can help you decide a few different things so you can make an informed decision including whether to accept or reject a settlement, how much to demand, the extent of the work, and time, it will take to get more money from the insurance company, and the overall likelihood of obtaining more money. An experienced personal injury lawyer will offer you advice and guidance when negotiating a potential settlement and will be able to explain the factors that might impact your claim and your decision on whether or not to accept a settlement. They will also have your best interest in mind when dealing with an insurance company and will be able to anticipate many of the insurance company’s tactics to help you recover what you deserve, and make sure any insurance company does not take advantage of you. A personal injury lawyer will advise you on all of your legal options. If an insurance company does not agree on a settlement offer, then the attorney can also file a lawsuit on your behalf to help you receive the compensation you deserve. A personal injury attorney will do more than gather the information about the accident; they will speak with doctors about your injuries, gather the proper reports and medical records, interview witnesses and even reconstruct the scene if needed. Personal Injury attorneys help determine your personal injury claim’s worth and navigate any negotiation process with the insurance company to get you the most compensation. If a fair settlement can’t be reached, a personal injury attorney will also go to trial for you and will try your case to a verdict, seeking fair compensation via a jury trial, if it can’t be reached via settlement.